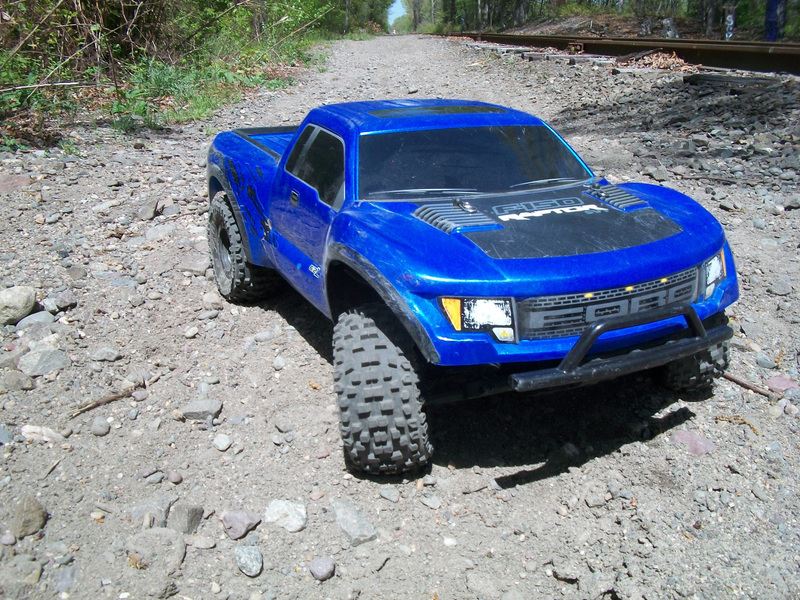 So, I guess this will be where I post info on my Traxxas Ford F-150 SVT Raptor, which is basically just a repackaged Slash 2WD. Traxxas updated steering bellcranks (TRA6845) and bearings to go with it. From what I can gather, the two above changes are the only mechanical differences between the Brushed and VXL models. The steering upgrade I would recommend to anyone that gets a Slash with the white plastic crap on it. The servo saver horn makes it ridiculously sloppy. New springs are probably next. Feels like I need something a little stiffer, but not too much. Leaning towards Rustler non-progressives up front and Maxx progressives in the rear.